Why would you ever turn down potential celebrity sightings and food? Nestled in the infamous Sunset strip in West Hollywood is Mel’s Diner, a little 24-hour Diner and Dive. With food as spectacular as the stars that walk through Mel’s doors, it’s the perfect go-to joint when you’re craving those late night treats. Celebrities like Taylor Swift, Rita Ora, and even Harry Styles have graced Mel’s booths just this year alone, and that’s only to name a few. Mel’s offers pretty much everything you would expect in a classic diner, but if you were to order one thing, you should definitely order a milkshake. Milkshakes are the perfect blend of rich ice cream and endless toppings that leave you feeling satisfied (maybe a little regretful) but definitely content if even for a little while. Mel’s diner is crafting up milkshake flavors from the classic Cookies n’ Cream, to the more sophisticated Coffee milkshake. If you don’t like milkshakes, you’re wrong (and most likely lying to yourself). Because who doesn’t love a good tall glass of creamy vanilla ice cream blended with Oreos or chocolate blended with peanut butter? Clearly no one. It tastes SO good, you almost shed tears. Your tastebuds are so happy it overwhelms your emotions. You and your milkshake can very well run into a hungry celeb whose hitting up Mel’s for a late-night snack. Stars like Harry Styles and Taylor Swift have been spotted at the diner in the wee hours of the night so before you call it a night, stop by Mel’s for a chance to see your fave celebrity gorging down a milkshake or two. 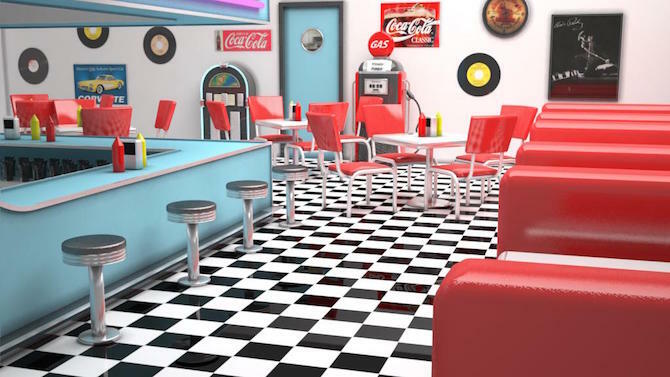 The diner transports you back to the 50’s with it’s retro style. Take a seat in the patent leather booths, put a jam on the juke box, and you won’t be thinking its 2015 for very long. It’s open 24-hours so you can literally go any time, day or night. Everybody knows that late night snacks are much desired but even harder to come by. At Mel’s, you can show up any time, any day, at any hour, to get your fix. 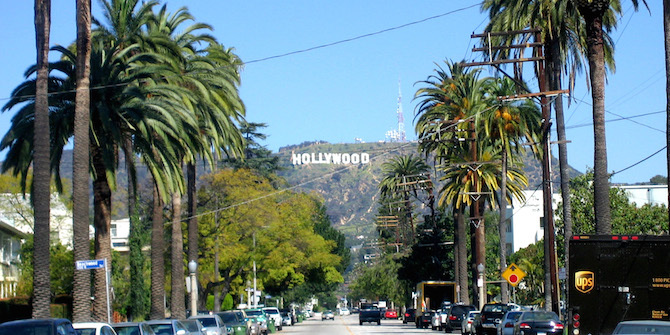 It’s on Sunset Boulevard and what’s more Californian than that? Sunset Boulevard is a long and famous Southern California street, so your trip to Mel’s will definitely be worthwhile and will give you a lot of bang for your buck. They give you a giant glass of milkshake as well as a metal tumbler with even more. Score! So when you finish the glass, you know you have a little extra milkshake to look forward to and put your already full state into a food comma. You can make it a social event and bring a ton of your closest friends with you. Because what’s better than having a milkshake in a retro diner alone at 2 a.m.? Having a milkshake in a retro diner with a ton of your friends at 2 a.m..
And finally, milkshakes are just always a good idea.